Questions were also raised about middlemen pushing up the price of yaqona. Acting Agriculture Minister says the market is free for all farmers. It is free for the farmers and to all the consumers. Don’t expect the price of yaqona to fall any time soon. Any increase in production is ex­pected to be felt in another year or two. A kilogramme of pounded yaqona cur­rently sells up to $140. Before severe Tropi­cal Cyclone Winston, the cost was up to $80 a kilogramme for premium quality yaqona. 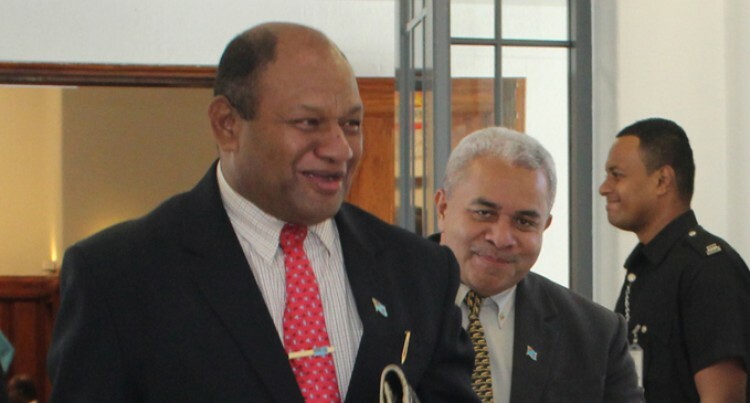 Acting Minister for Agriculture Osea Naiqamu while responding to a question posed by SODELPA MP Ro Kiniviliame Kili­raki about the strategies the Ministry has put in place to address yaqona shortage, said the Yaqona Development Programme was specifically designed to address the shortage of yaqona after TC Winston. Under the programme the ministry has so far distributed 300,000 planting material to farmers. Questions were also raised about middle­men pushing up the price of yaqona.